Barn Quilts of Central MN is working within Wadena, Todd, Morrison, and Cass counties to create a richly woven trail of Barn Quilts for all to enjoy. Take a tour of our Barn Quilt Trail as it leads you into our friendly communities and out into the beautiful Central Minnesota countryside. We will be publishing a new brochure this spring. 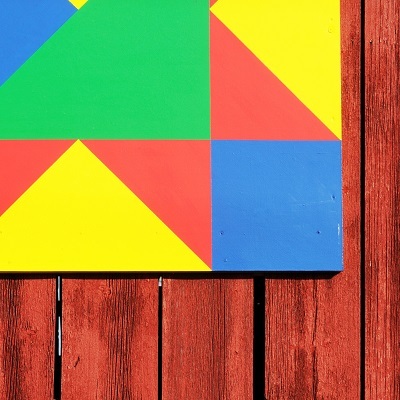 Our goal is to have 100 barn quilts on our Central MN trail! Be a part of the journey! Simply register your barn quilt with us by March 31st, 2019, to be included in our new 2019 brochure. 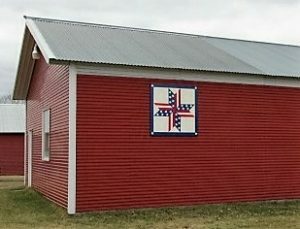 Your barn quilt must be painted on wood, tin or a building, located in Cass, Todd, Wadena or Morrison County, and be visible from the road. Download your application today or contact us to request an application in the mail. There is absolutely no charge to be included in the brochure or on the website. Our brochure is funded by a grant from the Staples Motley Area Community Foundation.